There are a few limitations to The Research Loop that will be addressed as it grows. First, most believe that an important part of these partnerships between researchers and patients and caregivers is to establish relationships. This can foster trust between the parties and perhaps encourage researchers to be more open to the patient and caregiver voice. While in its current iteration, The Research Loop will provide feedback from patients and caregivers to researchers with only a brief introduction to the idea (see Appendix A), in the future there may be a chance to build relationships between those giving and receiving feedback. Initially though the feedback will be deidentified to the extent possible to minimize privacy risks to patients and caregivers who may disclose sensitive health information. If researchers want to contact patients and caregivers after they receive feedback, The Research Loop will try to facilitate a connection if the patient or caregiver is willing. As The Research Loop progresses, there will be more opportunity to see how such connections can grow. Because The Research Loop is meant to be a simple solution for researchers to involve patients and caregivers in their work, no commitment is asked of researchers at this time. This will lead to a rather one-sided process as researchers will not be required to provide a response or comments to the feedback they receive. 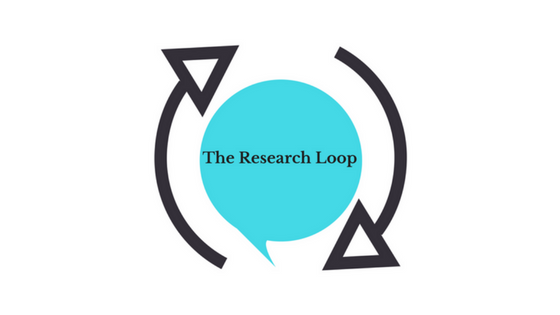 The Research Loop will send out a link if researchers wish to provide comments and will use that information to improve the site and provision of feedback. The Research Loop can of course also be contacted via email at any time if researchers have questions. As discussed above in several places, patients and caregivers will come to The Research Loop with varying degrees of training and knowledge of the research process. The Research Loop will continue to provide educational materials and links to resources but cannot provide training on specific research projects.